The following article was written by Keith Holland. To read more about Keith, check out the author’s bio at the bottom of this post. The truth is out there. Conspiracy theorists across the world have shrines. Places where they can let their freak flag wave and commune with like-minded believers and skeptics alike. While there are numerous films and tv shows dedicated to aliens, monsters, and government cover ups, nothing beats seeing these places in real life in the hopes that you can be the one who breaks the conspiracy wide open. Travelling to conspiracy hot spots can be fun and exhilarating and you never know what you’re going to find. A few people have dedicated their lives to exploring the more questionable places on our planet and they’ve uncovered some pretty amazing information. I spoke with an online travel company to get their top three conspiracy theorist hot spots. For those that believe aliens exist and there is a mass conspiracy to hide that fact, Roswell is your Mecca. This small city in New Mexico became famous in 1947 after the disputed crash of what true believers think was a UFO. While the story has been widely investigated and debunked by multiple sources, there are many who still think a large-scale cover-up took place and is still taking place. Today, there is even a museum called the 1947 Roswell UFO Incident Museum that is located right in the center of town. 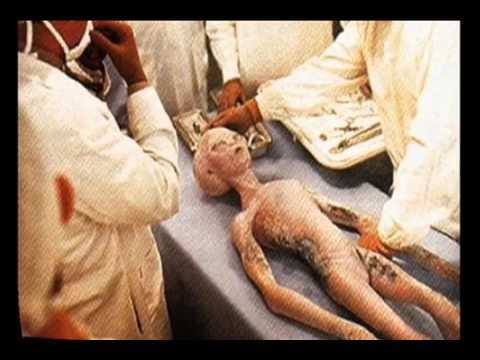 The pro-alien crowd believes that the Roswell incident involved one or more aircraft, and the recovery of alien bodies. FlightHub says the official story is that there was a crash, but the craft was simply a weather balloon. This incident has been popularized in the classic television show, The X-Files. In the 19th episode of the sixth season of the American science fiction series titled: The Unnatural. The episode tells the story of Josh Exley, a black baseball player from the 1940’s who was allegedly an alien. This Scottish Loch isn’t just home to insanely deep and cold water. Conspiracy theorists believe it is the home of a cryptid called the Loch Ness Monster. While sightings have accounted for various descriptions, the consensus is that Nessie is an aquatic, dinosaur-like critter the size of a minivan with an elongated theropod-like neck. The Daily Mail has reported sitings as recent as December 2015 and there are numerous other reports coming out of the Scottish Loch each year. The earliest reported and documented sighting dates back to 1933, when a man claimed to see a dragon like creature running towards the Loch with an animal in its mouth, placing the first sighting on land. A water beast also appeared in more ancient texts dating back to the year 565 AD, though these stories are generally considered fairy tale rather than fact. The home of….The Mothman! This winged humanoid creature was spotted rampantly from late 1966 to late 1967. The Mothman remained a rural folk story in West Virginia until the release of the book The Mothman Prophecies in 1975. The intrigue surrounding this creature grows due to the militaries involvement in the area, leading many to believe and speculate that The Mothman is in fact a military experiment gone wrong. FlightHub says Mothman sightings ended in December 1967 following the collapse of a bridge that killed dozens of people, adding fuel to the fire that the Mothman had something to do with the terrible accident. The man is remembered today with a large statue and a festival in the Point Pleasant area. Keith Holland is an avid traveller and an adventure enthusiast. He currently works creating content for Go Momentum, but he takes off on a trip whenever he can.